UNAVCO offered a series of well-attended short courses on how to work with our various datasets over the summer, including LiDAR, strainmeter and tiltmeter, and InSAR. These courses were aimed at current researchers who want to update their skills or branch into new areas of research, and younger scientists such as postdoctoral fellows, graduate students, and upper level undergraduates interested in an introduction to a new research tool. Each course was held for three days, and taught by a variety of experts in the field. There was no registration fee, but participants did have to cover their own incidental expenses. This year, we were able to support 24 students for the three short courses. 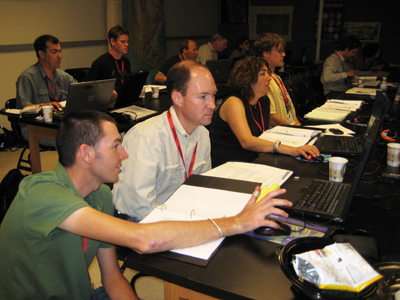 The LiDAR course, entitled "Processing and Analysis of GeoEarthScope and Other Community LiDAR Topography Datasets", was held April 29 to May 1, 2008, at Arizona State University in Tempe. Chris Crosby, GEON Project, from the San Diego Supercomputer Center, Ramon Arrowsmith from Arizona State University, and David Phillips from UNAVCO taught this course. LiDAR (Light, Distance, and Ranging), Airborne Laser Swath Mapping-ALSM, topographic data are of broad interest to earth scientists. Many datasets are or will be available freely to the scientific community, especially for fault systems in the western United States via the GeoEarthScope project. These data have exciting and powerful applications in geomorphology, active tectonics, and geoscience education. Participants in this course learned about LiDAR technology, how to access publicly available datasets, software and hardware considerations for working with the data, data processing (raw or classified point clouds, digital elevation models, other derived products), and approaches for analyzing the data to answer their research questions. The strainmeter and tiltmeter data course, entitled "Working with Strainmeter and Tiltmeter Data: A Short Course for New Users", was held at UNAVCO's headquarters in Boulder, CO from June 10 to June 12, 2008. Kathleen Hodgkinson from UNAVCO, Evelyn Roeloffs from the United State Geological Survey, and Duncan Agnew from the University of California, San Diego taught this course. This workshop covered the main topics involved in processing strainmeter data, which helps make EarthScope data useful to a broad scientific audience. Strainmeter data can be used to study deformation related to plate boundaries, earthquakes, and volcanoes. The InSAR course, entitled "InSAR: An Introduction to Processing and Applications for Geoscientists", was also held at UNAVCO's headquarters in Boulder, CO from June 16 to June 18, 2008. Paul Rosen from JPL, Yuri Falko from University of California San Diego, and Eric Fielding from the Jet Propulsion Lab taught this course. InSAR (Interferometric Synthetic Aperture Radar) is a powerful tool for measuring Earth surface deformation due to earthquakes, volcanic unrest, ground water migration, and anthropogenic activity. InSAR is also being increasingly used in studies of the cryosphere (including the motion of glaciers and ice sheets) and atmosphere (water content in the troposphere). New techniques and applications of InSAR are developing rapidly, including stacking, time-series analysis of surface deformation, ScanSAR, polarimetric InSAR, and along-track interferometry. The three day workshop introduced InSAR processing and applications to new users. The workshop included an overview of the technology and its application to Earth Science, an introduction to a common processing package, and an overview of different processing packages. The GPS course, entitled "Processing and Analysis of GPS Data with GAMIT/GLOBK/TRACK", was held at UNAVCO's headquarters in Boulder, CO from September 23 to September 25, 2008. Tom Herring, Bob King, and Simon McClusky, all from MIT, and Matt King from the University of Newcastle taught this course. This course provided group and (some) individual instruction in GPS data analysis, with the first day devoted to GAMIT and GLOBK for tectonic studies, the second day to polar and other kinematic applications of TRACK, and the final day to tutorials and in-depth discussion of advanced topics for both static and kinematic analysis. Keep posted about future UNAVCO Short Courses. If there is another topic you would like to see covered in a future course, contact Susan Eriksson, our Education and Outreach Director, eriksson unavco.org. 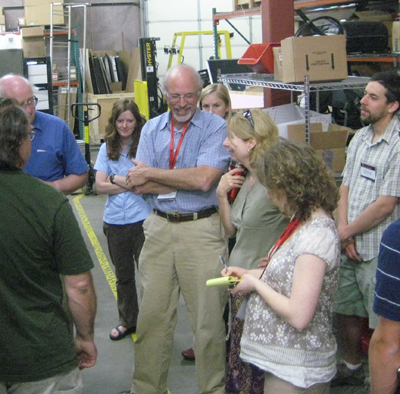 Figure 2 - Strainmeter course instructor Evelyn Roeloffs, USGS, accompanies participants on a tour of the UNAVCO Headquarters facility in Boulder, CO during the UNAVCO Short Course, "Working with Strainmeter and Tiltmeter Data: A Short Course for New Users" in June, 2008. 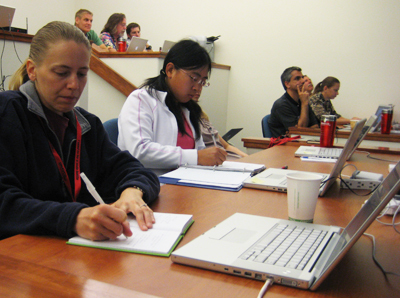 Figure 3 - Participants take notes during the course entitled: "InSAR: An Introduction to Processing and Applications for Geoscientists" at the UNAVCO headquarters in Boulder, CO in June 2008.